No job is perfect, but when we get qualified to teach English we expect we're entering an industry with some basic professional standards - training, adequate resources, a decent teaching environment, support from our DOS. Unfortunately, such provisions are often the exception rather than the norm. The following account, told from the perspective of a newly-qualified teacher, shows that the passion we bring to job is, unfortunately, not always matched by the schools which employ us. Our fellow teacher also sheds light on one of TEFL's dirty little secrets: the fundamental lack of support for the special needs student in the EFL classroom. Like many of us, this teacher has worked in the public sector where - however flawed - there is at least an awareness that special needs exist. Staff are given some basic training on how to help students with special needs to cope and thrive in the classroom. Not so in private language schools. If you have any experiences working for a lying, uncaring DOS please feel free to share them with the Angry Language Brigade. 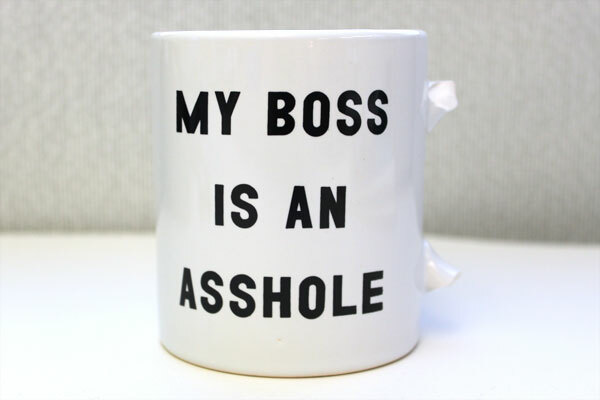 Better yet, if you and your co-workers have stood up to a dastardly DOS, tell us about it! Similarly, if you have any tips, strategies, or lessons plans designed to improve the learning experience of students with special needs, we'd love to host them. The Angry Language Brigade can be reached via private message or by email on TEFLSolidarity (at) gmail.com. I started work for a school in East London, which shall not be named, during the summer of '13. I knew immediately within seconds of stepping inside, I had to leave. It wasn't so much a school, but a dingy corridor with four dark dingy rooms, posing as classrooms. Our staff room was windowless, which during the heat of summer was suffocating. I should have seen the warning signs really. I was basically being paid under the table, working as freelance, rather than being employed as a teacher. I had no rights in the event of termination. In my interview, the DOS said there was training. During my 6 months at the school, there wasn't one training session. It was the offer of training that made me ignore the warning signs. This wasn't the only thing the school misled people about. It misled students on the type of classes available. It advertised CAE and CPE exam classes. In reality, the teachers were expected to teach exam skills in a general English lesson. This caused problems for the students who didn't want to take the exam, with them often complaining that the lessons were boring, while the students who did want to take the exam complained that the pace of grammar was too slow. Understandably, the students complained. Being unable to satisfy both groups of students was, according to the DOS, my fault. He often questioned my work, my methods and often insinuated I didn't know much about teaching. Even though this school was my second teaching post, I am a very enthusiastic teacher and take a lot of pride in my work. Everything I've done qualification wise, I've taken so I can teach English as a foreign language. He often made me feel bad about even my successful lessons. On the other hand, he often joked about my enthusiasm. He was very negative about ESOL teaching, despite being the DOS. There was a lot of bad feeling in the staffroom as the other staff generally kept to themselves. Lessons were team taught and there was almost zero communication between teachers. meaning lessons were fragmented. Teachers could change classes at a moment's notice. giving us ten minutes to prepare an hour and a half's lesson. It was overall a very tense atmosphere . I preferred to spend my breaks talking with the students. I felt like I had more in common with them. Our DOS took this to mean that I work too hard and I was stressed. He reduced my hours accordingly and gave my favourite class to a teacher who, although was very passionate about teaching, had just graduated and was unsure of upper intermediate grammar. She often came to me for grammar clarifications when the DOS wasn't around. One day he found out and afterwards he took a real dislike to me and he would often just come in to my lessons, without saying anything (which I might add, stressed me out) and corrected my mistakes, which were usually very minor, in front of the class. He often singled me out after this. Another problem with the school was despite my having experience with special educational needs, the DOS refused to believe they existed. I had a girl in my upper intermediate class, who was clearly dyslexic and was struggling. She was very bright, but had problems and wasn't progressing as much as she should have been. When I asked the DOS how we could help her and if it was possible to know beforehand about students' existing conditions. He said we weren't doctors and it's not our place to diagnose conditions. He also refused point blank to acknowledge dyslexia was a recognised condition and said instead that people who had it were "lazy and stupid". When I got upset about it, I was sent home early. A few weeks later, he called me in to his office. Told me on the spot that they had no more hours for me and I lost my job. There was nothing I could do about it. (Although, when I came in to collect my things on Monday I had been replaced). My boss refused point blank to acknowledge dyslexia was a recognised condition and said instead that people who had it were "lazy and stupid". Public sector environments often don't offer EP assessments to EAL students who've been here less than 1-2 years. Sometimes this is for reasons of logistics;, boroughs simply not having available staff skilled to do assessments in x or y languages. Also its to stop educational establishments falsely diagnosing students. There's a fair amount of complications involved basically. That said the DOS in questions views on the subject are of course a nasty load of unscientific nonsense. Also its to stop educational establishments falsely diagnosing students. Or just to save money. I know in the past there was central gov't money that came with each SEN diagnosis. Consequently, there was downward pressure to limit the amount of diagnoses. I think the SEN system has changed slightly (less money in the pot, more financial responsibility on the council and individual schools), but I do know that when I was a TA, perhaps only 20% of the students who had educational needs actually had a statement. And, on top of that, despite the fact that 75% of the kids in my last TA job didn't have English as a first language at home, our EAL department was 3 people! So, let's have no illusions about state schools, but at least there's a widespread awareness of SEN. I've never heard them mentioned once by management in any language school where I've worked. Statements are really hard to get, because they give the child the right to a TA for the whole time that they're in the education system. Some Local Authorities will only give them for physical disabilities.